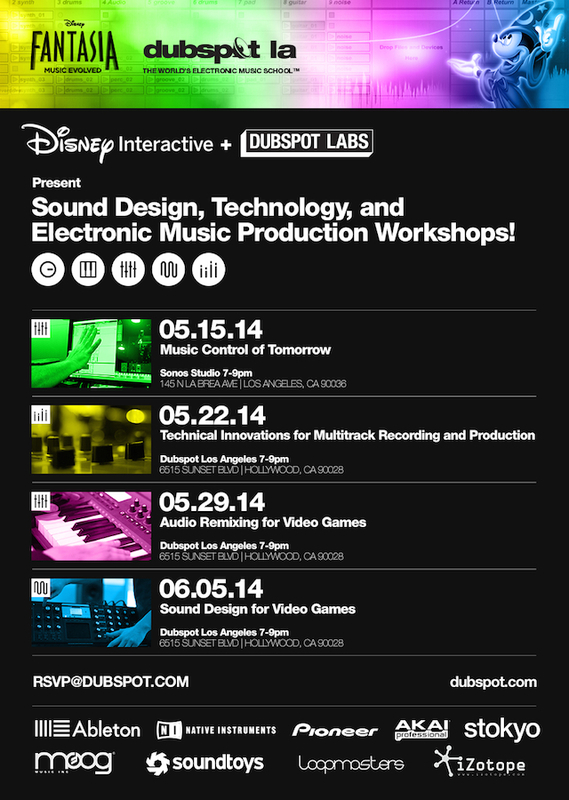 Dubspot LA & Disney Interactive Present: Music Production and Remixing for Video Games + Previous Contest Winner! 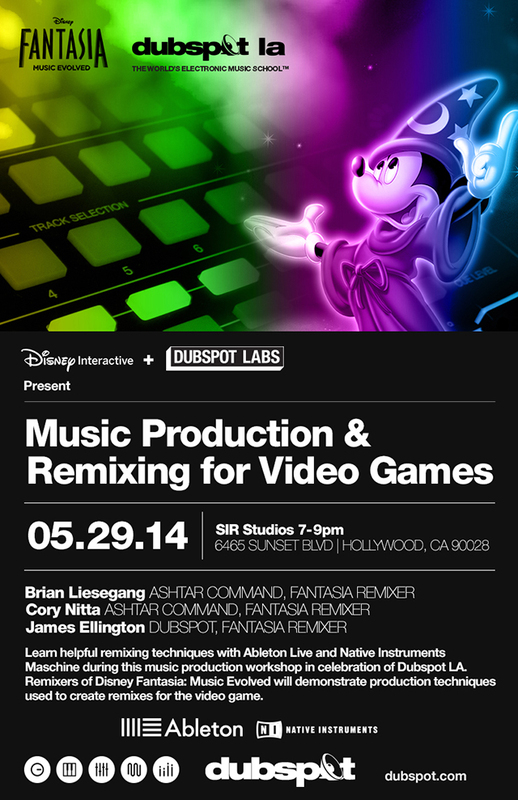 Join Dubspot LA and Disney Interactive on Thursday, May 29th for Music Production and Remixing for Video Games, an inside look at creating remixes for video games using Ableton Live and Native Instruments Maschine. Attend this workshop and get a chance to win a free Dubspot Los Angeles Maschine Program and a Native Instruments Maschine Studio! Congratulations to Robert De Leon! You’ve won a Dubspot Los Angeles Mixing and Mastering Program and free plug-ins from iZotope at our previous Dubspot LA and Disney Interactive workshop. Dubspot Los Angeles’ first Open Houses will take place Sunday, June 1st. Head to Dubspot LA to experience and enroll for courses starting in June. Enroll in May and save 15%! Disney Fantasia: Music Evolved is a breakthrough musical motion video game inspired by Disney’s classic animated film, Fantasia. In the game, players enter the magical realm of Fantasia, selected by the legendary sorcerer Yen Sid, to hone their musical and magical prowess as his new apprentice. Disney Fantasia: Music Evolved takes players on an interactive and immersive motion-controlled journey through worlds of music and magic. Come Experience ‘Fantasia in dub’! Giveaways include: Dubspot Los Angeles Sound Design Program and Native Instruments Komplete! This workshop, featuring industry experts from Disney Interactive and Harmonix, will feature valuable tips for breaking into the video gaming industry as a sound designer. Also expect plenty of goodies from Dubspot’s Ableton Live Program! Dubspot, the world’s electronic music school, is coming to LA in June 2014. We’re bringing our top-notch teaching staff and our hands-on courses to the heart of Hollywood, the mecca of the music and film industry. Our beautiful, modern facility features the same state-of-the-art equipment available in our Dubspot NY location. 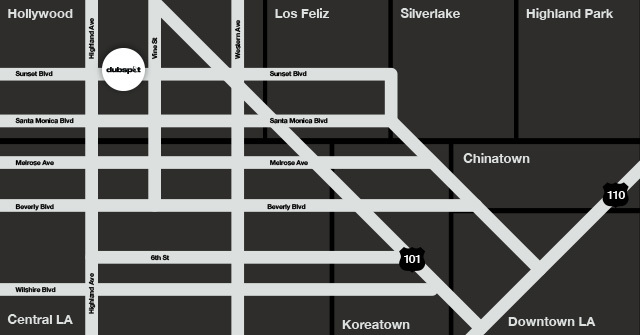 We are a block away from the famous Amoeba Music with convenient Metro Red Line access (Hollywood and Vine). Dubspot Los Angeles’ first Open Houses will take place Sunday, June 1st from 12 – 6pm. Head to Dubspot LA to experience and enroll for courses starting in June. Interested in attenting Dubspot LA? Act now, enroll during May and save 15% off Dubspot LA courses!